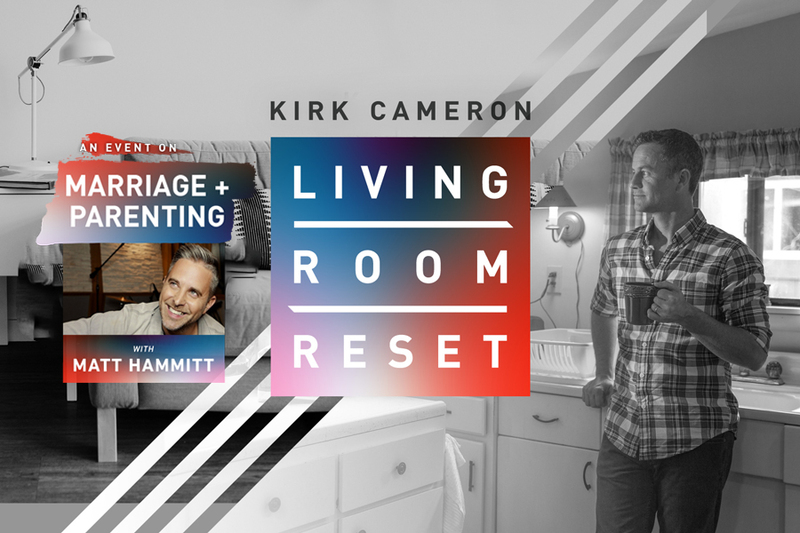 Kirk Cameron will be bringing the Cameron living room to churches across the country, and want you to join him for a heartfelt conversation about what matters most to us as husbands, wives and parents. Think of it as a “home-run date night” with Kirk and his wife, Chelsea and also our special music guest, Matt Hammitt. A time to get away with your spouse for 3 hours with them to laugh together, pray together, learn together, and worship together, as everyone dives deep into the subjects that matter most to you and Kirk. And best of all, you’ll learn how to see your family with new eyes, and be inspired about giving your family a “Living Room Reset”.